Our Instagram has been very popular among our customers wanting to show off their Hume Doors products. 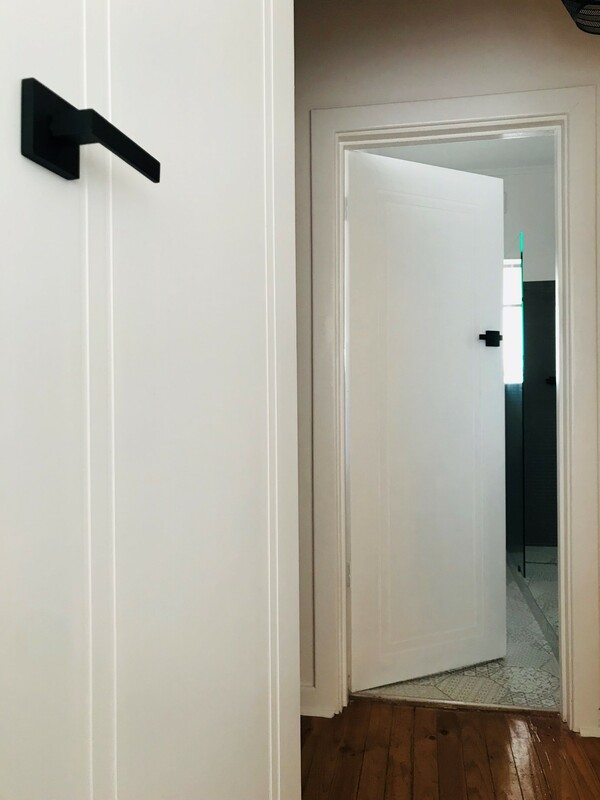 When we were tagged in a photo of a lovely renovated home in Adelaide, which featured our Accent internal doors, we were keen to learn more. We reached out and connected with Kayla Mosporran, the face behind @fruitfulhomes_adl, and had a chat about her build. Kayla is a renovation consultant at Fruitful Homes, and together with her partner, Leo, purchased the 1960’s art deco home with plans to restore it to its former glory. “We wanted to retain some of the original features from the era, while adding a modern twist,” Kayla explained. Having the opportunity to construct and style their home exactly how they wanted was an exciting part of the journey for the couple, as they wanted this property to be their ‘forever home’. “There have been a few projects with tight schedules and I have been very pleased with the turn-around time Hume Doors achieved,” Kayla recalled. It was this “exceptional level of customer service” that prompted her to choose Hume again and again. “I am more than happy to recommend Hume to my clients, because the products are very reasonably priced,” Kayla explained. Having just purchased the property, and being responsible for the costs of renovating, Leo and Kayla’s budget was a big consideration. The couple needed internal doors for their home office and bathroom. Being smaller rooms, as opposed to the living room or master bedroom, Leo and Kayla wanted doors that would fit in with their style, without taking away from the space. They needed a product that would slip right into the home’s unique design. After browsing a few options, Leo and Kayla landed on the HA5. They decided the classic style of the Accent range, paired with a coat of Dulux Vivid White and some bold black fixtures, would create the look they wanted. “The doors would complement the existing features and the dark handles would bring in a modern twist,” Kayla explained. “They emailed all quotes and invoices and responded in a very timely matter. They also arranged delivery and made sure the order arrived by the date needed,” she recalled, thrilled with the customer service. Once the products arrived, the next step was installation. “Our builders at Fruitful Homes are more than pleased to do all the door installations themselves, but I decided I wanted to try installing it myself,” Kayla said. “Once you know how, they are a breeze to install, but I’d recommend being shown how to first,” she admitted. We’re loving the photos from Leo and Kayla’s home – and we must say they’ve picked the perfect style for those internal doors! To learn more about our internal doors, or to tell us your story, send us a message on social media or get in touch with us today!